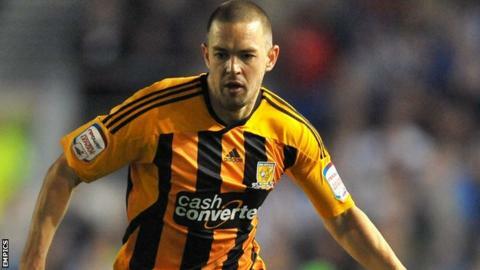 Hull City striker Matt Fryatt could be out for the whole season after suffering a setback in his recovery from an Achilles injury. The 26-year-old, who has scored 25 league goals in 68 league games for the Tigers, is now likely to need surgery. "It looks like Matt is going to have to have an operation after he broke down this morning," boss Steve Bruce told BBC Radio Humberside. "It's devastating news but we just have to deal with it." The former Walsall and Leicester striker, who has also had a loan spell at Carlisle, has played just one game this season - August's Capital One Cup penalty shoot-out victory over Rotherham.